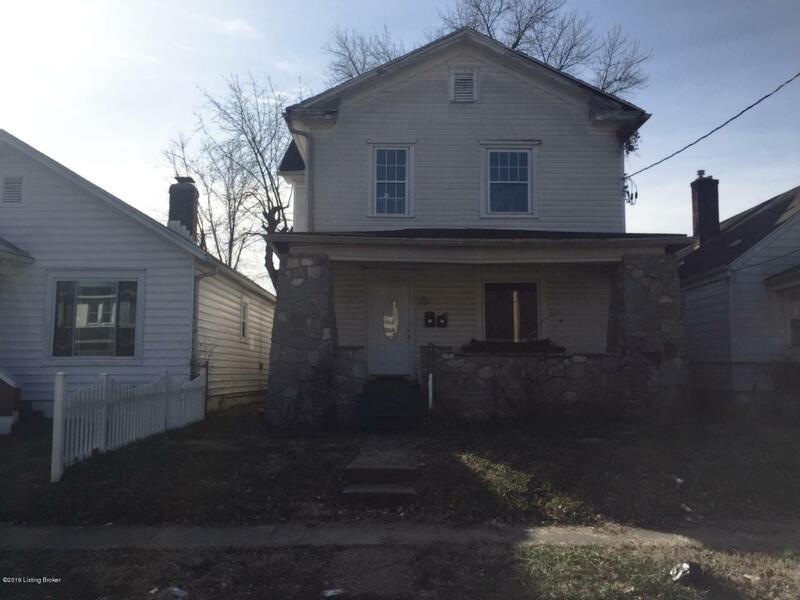 Great multifamily income potential with this huge duplex with large covered front porch. The main level offers 2-3 bedrooms, full bath, kitchen, living room and laundry and has rented for $600. The Second level offers 3 bedrooms, full bath and an unfinished kitchen area. Separate meters, A/C units, furnace and water heaters. Off street parking in rear. Property sold AS IS with absolutely no warranties expressed written or implied. Buyer to verify any and all information or lack of information including but not limited to square footage, lot size, utilities, foundations, environmental concerns, zoning and intended uses, etc.